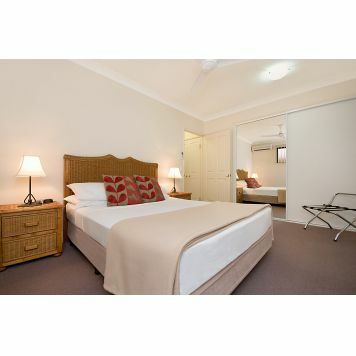 Best Western Central Plaza Apartments is located close to the Cairns CDB and just a short stroll to The Esplanade, restaurants, cafes and shopping. This modern property exudes a tropical Mediterranean ambience. Featuring 1 and 2 bedroom fully self contained apartments, in house movies, bbq facilities and 2 swimming pools. Large 62-72sq metres one bedroom self contained apartment. Fully equipment kitchen and laundry. Air conditioned and ceiling fans throughout. Our business centre is open from 730am to 6pm Mon - Friday, 800am to 12pm Saturday and Sunday. Wireless Broadband Access is available from all rooms. Check In From 1400pm. We ask that should you be arriving after 1800pm at night that you contact Reception by phone or email to received after hours instructions to enter the property on arrival. Children Under 4 years of Age stay free of charge is using linen provided.